I participated in an Influencer Activation on behalf of Influence Central for Wedding Paper Divas. I received a product and a promotional item to thank me for participating. Hello my lovelies! We have some wedding talk happening today! 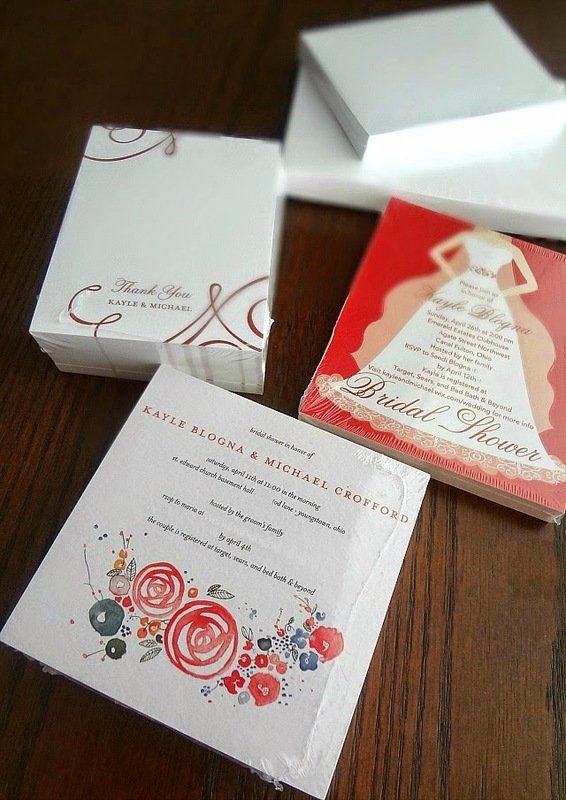 Do you remember when I posted about my Wedding Paper Divas sample kit? WELL now I am going to tell you all about the bridal shower invites and thank you cards that I ordered from Wedding Paper Divas! In April I'm having 2 bridal showers: one for Michael's mom's side of the family, and one for mine. This means I needed 2 very important kinds of stationary: bridal shower invitations and thank you cards (for all the gifts I'll be receiving at the showers!) 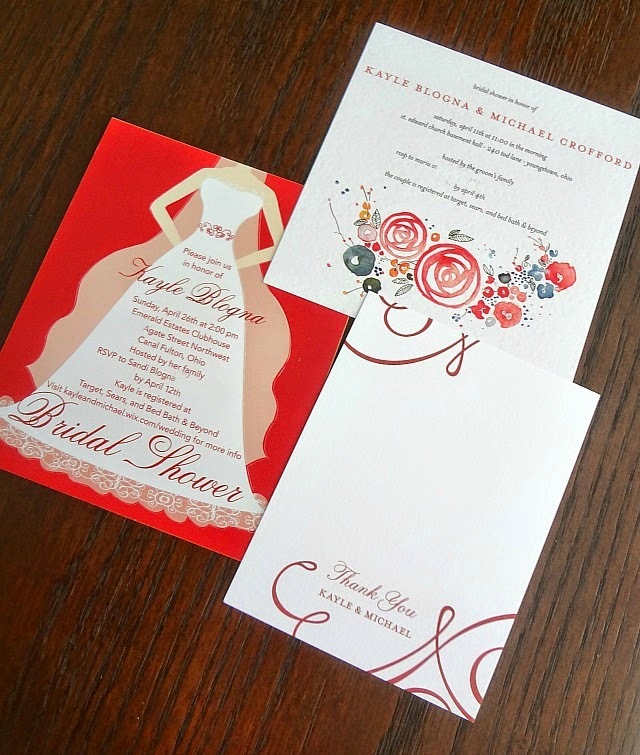 And, as always, Wedding Paper Divas delivered an amazing experience and spectacular results! First, we needed to choose which designs to get. For the thank you cards I found the prettiest, simplest, most affordable options and then Michael helped me narrow it down to the Flourish Focus Thank You Cards. For the bridal shower invites I chose about 6 or 7 of my favorite designs and let my mom choose her shower invitation from that and Michael's mom choose hers. My mom went with the Dreamy Details shower invitations and Michael's mom chose the Rose Ring ones. I loved all of them! Then came my favorite part: free proofs! 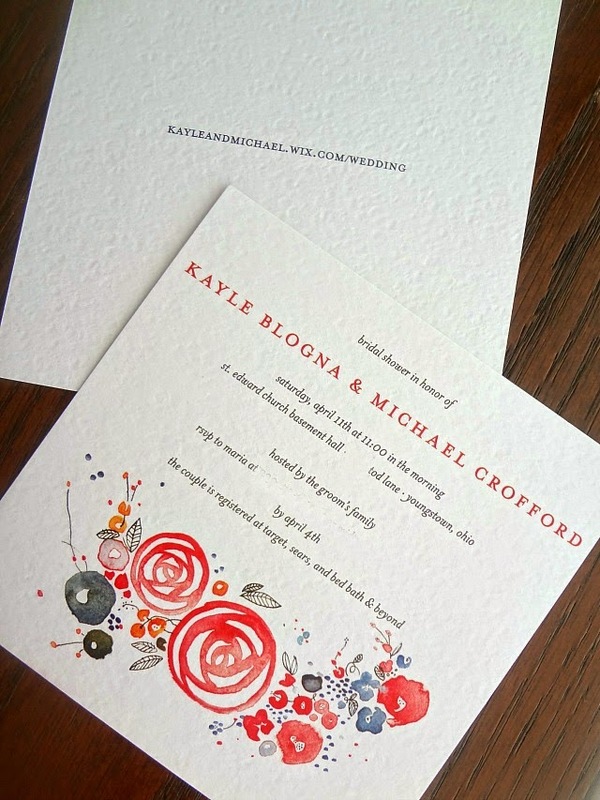 Every Wedding Paper Divas order comes with complimentary online proofs. Within a couple days of placing your order (which--there's like...always coupons! Which always makes my deal-loving heart happy!) you get an email with your proof(s). And it's a real person who emails you. And this person took time and thought about it and they will edit certain things in your order to make them look better or flow more nicely or to keep in line with etiquette (things which you can 100% change if you don't like). You review your proofs and if you love them then HOORAY! You're done. You approve them and continue on your merry way. But if there's anything that isn't the way you want it then you just say so! They will work with you (in an extremely expedient fashion, in my experience) until everything is exactly the way you want it. 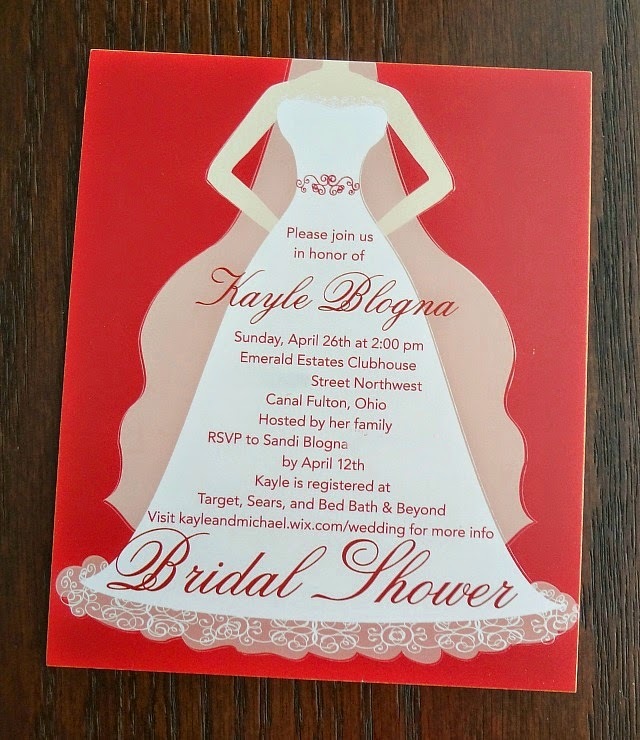 In my case they changed some things with the fonts so they looked better, changed up little bits of wording for etiquette's sake, and they adjusted the custom color for my mom's shower invite in a way I hadn't specified but was exactly what I wanted. Everything definitely looked better for the changes that Renata (my proof expert!) made. When reviewing there was only one small thing that I wasn't pleased with-the custom color for the font on the Thank You Cards hadn't been changed and was gold. However, pretty much as soon as I sent that feedback they apologized and revised the proof to what it should be. And they were perfect-so I accepted them and waited for them to be shipped. In the end I received 3 beautiful pieces of stationary that totally represent my wedding. The quality of the paper is beautiful, the colors are vibrant, the fonts are lovely, and I am SO excited for everything that's coming up! 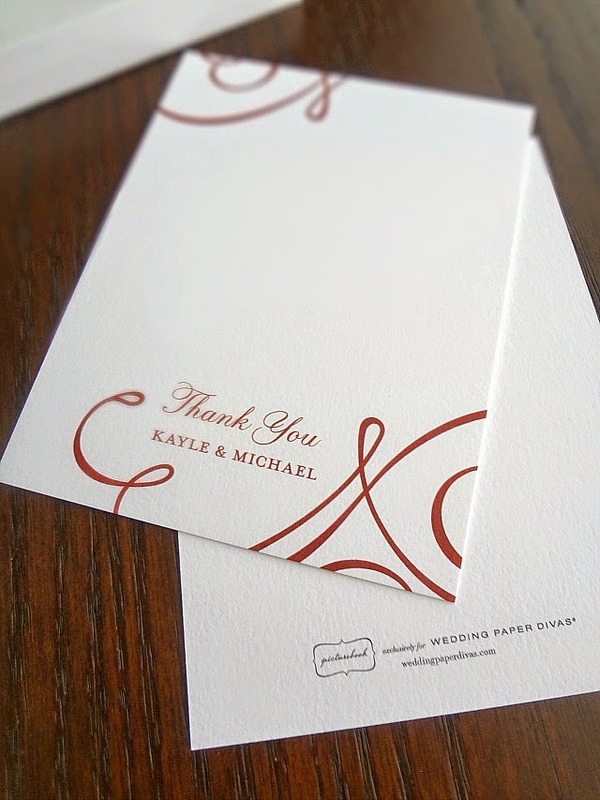 Everyone has raved about the bridal shower invitations and I love how simple and elegant our thank you cards are. As usual, I had a flawless experience with Wedding Paper Divas and I can't wait until the next occasion comes for me to use them again!